Anytime you buy a house and you are doing your due diligence, make sure to check the windows even if the house is new. Broken seals may just need some minor repair and silicone to fix the problem. 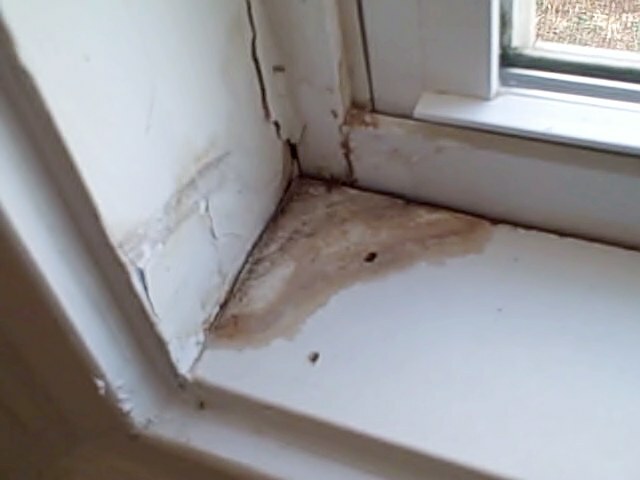 This minor leak can cost several hundred dollars if there are even a few windows with the problem. Check all the windows for cracks, separation, seal, discoloration and dampness. When the wind in Georgia blows, sometimes the wind causes the rain to run in the house on all those corners of your windows with cracked seals. You will never get wet in the house but you may take a bath when they rot out your windows and you need to replace then in less than 5 years at $150 to $200 a piece. Some people just paint the house before they sell it to dress it up and this covers the problem up but only for a few weeks if it doesn’t rain. The examples show in an almost new home in a good neighborhood with a name brand builder. The link below shows the youtube video of several examples. Five extra minutes to check each and every window before you buy a house may save you a bundle. Broken seals also lead to higher utility bills in both the summer and winter. Thanks for watching and reading our Georgia Real Estate Investor tip of the day on checking windows. This is an easy fix with some paint, silicone and a finishing nail or two if caught early enough before the window, casing and ledge are rotted out.